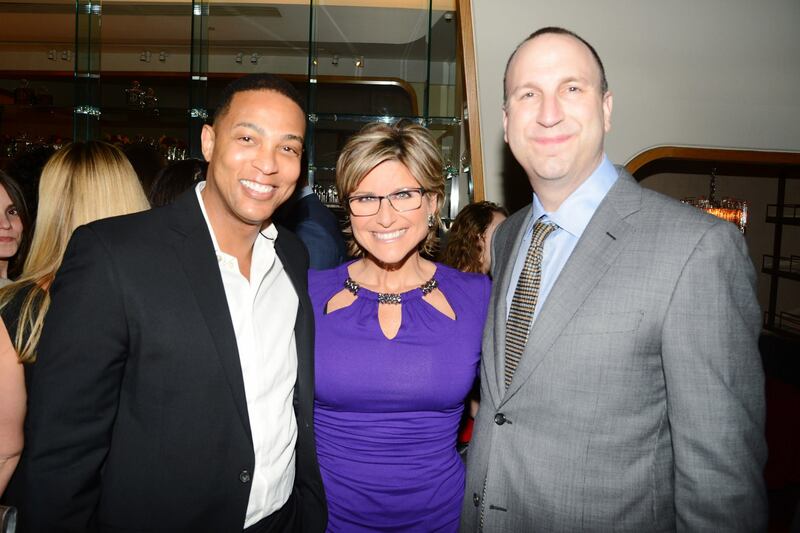 Ashleigh Banfield became famous for her strong and heartfelt reporting for MSNBC in the wake of the attacks on the World Trade Center, when she reported from the streets and viewers saw a cloud of debris whoosh by her as 7 World Trade Center fell. But five years before that, Banfield was working her way up through the ranks, which included a stop at KDFW, the Fox station in Dallas, where she won an Emmy and was then swooped up by MSNBC for national work. I love this intro and how it shows her co-anchor Tim Ryan in the “picking up the phone to do news” move. Banfield is exactly my age and as a “fellow Gen-Xer” (eeewww) knew about Green magazine and brought us on her program. She introduced me as “a young writer from New York.” I launched into a big liberty agenda. “Green is about freedom.” I said it’s “without the get rich quick jargon.” Banfield replied, “You’re 27 years old, you’re the primary writer for the magazine.” I loved that – she was 27, too! Years later, in 2014, I ran into her at an Observer party and I reminded her of this KDFW interview. She laughed and fondly remembered trying to fit in to the Texas news scene – she’s from Winnipeg.